Do you come into work early to impress your boss? Do you stay late because you see your coworkers doing it? Are you afraid of what your boss will think of you if you leave early? Is there any point in staying late if your work for the day is done? We’re thinking about time at work all wrong. Time spent at your desk means nothing. What time you show up or leave means absolutely nothing. Unfortunately, our biases get in the way of this. I’m here today to ask everyone reading this to please stop. Seriously, you’re doing a disservice to yourself and your employees. You’re causing extra, unnecessary stress on employees for something that’s completely meaningless. You’re also judging people falsely, potentially missing out on promotion opportunities or falsely assuming that someone is a “better” worker because they spend more time at their desk. I know it’s easier said than done, but I’m begging everyone reading this, stop judging people based on time spent at work. I used to fall for this mistake too. I remember thinking that if someone left at 4:59pm that they weren’t engaged and obviously couldn’t wait to get out of work. But what if they have kids? What if someone comes in early but then leaves early to adjust their schedule? What if someone likes to come in late but wants to stay later because they’re more productive later in the day? Not only is it wrong to make those assumptions, it’s not fair. And it’s not the way the world works today. Christopher Barnes, assistant professor of management at the University of Washington’s Foster School of Business, wanted to conduct research to see if workers were being penalized for using flexible hours. He found that in fact, we have a “morning bias”. Which is exactly what I was talking about at the beginning of this post. It’s unfair to assume that just because someone comes into work early, they’re better performers. Pro Tip: You should be judging employees based on their goals. Get this simple guide to goal setting to make it easier for you to set meaningful goals for your team. Personally, I’m not a morning person, and so when I first started work I asked my boss if I could work from 10-6 instead of 9-5. My theory is that if I have to wake up early, I’ll be more tired at work, and therefore less productive in my day overall. If I’m able to have that extra bit of sleep, I’ll come into work more energized and ready to go. While I love it, I know that some people might see me as “lazy” or “unmotivated” because they see me come in late. Nothing could be further from the truth though. I’m incredibly driven, and I work hard to make sure I’m producing a ton of great work. I wonder if I’ve been passed up for promotions or not chosen to work on certain projects as a result of this. As soon as I noticed that this was an issue and a bias that some of my coworkers could have, I could have easily adjusted and come in earlier, but that would only make me perform worse. It’s possible the perception of me would have changed, but my actual results would have gotten worse. The research is very clear about this. Working more hours will not make you more productive. In fact, it will damage your productivity, your health, and overall work-life balance. Basically, when you work long hours your cognitive skills start to decrease, and a lot of the work you’ve done during that overtime needs to be edited or redone. It’s important for everyone to understand the Yerkes-Dodson law that says too much or too little stimulation is bad. We need a happy medium in order to perform best. The happiest and most productive workers find that perfect balance. Plus, your brain needs downtime to be more productive. You need time to recharge and refuel. Clearly, something needs to change. I’m calling on everyone, managers and coworkers, to work on this issue. It’s not fair to anyone. Here are a few things I’d recommend doing to fix this issue. The first step to fixing the issue is to be aware of the issue of itself. By knowing that you have a bias and thinking about it more often, it will affect you less. Think about how this bias has been or is affecting your team. Measure people on their work, not time spent at a desk, and understand that it makes no difference where or when someone does their work, as long as it gets done. I’m not even talking about implementing ROWE and changing the structure of your entire organization, I’m talking about simply focusing on results instead of time. This requires you to set clear goals with your team so it’s easier to see if they’re successful or not. 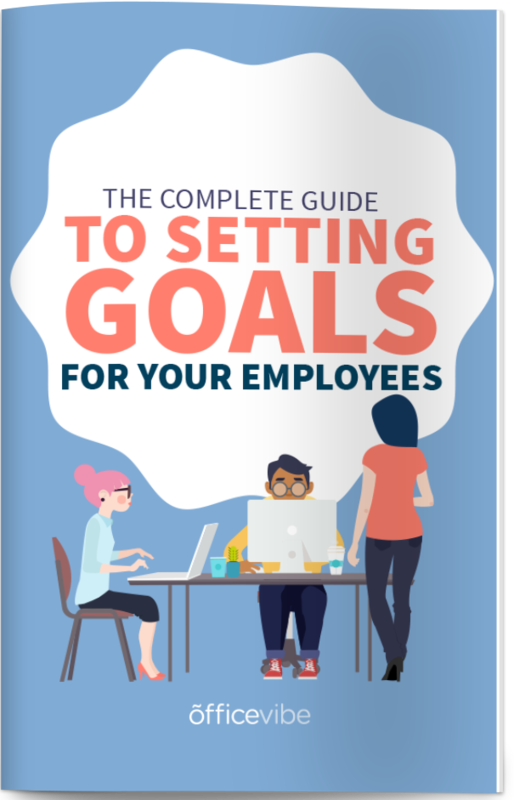 Get this simple guide to goal setting to make it easier for you to set meaningful goals for your team. In the research I was mentioning earlier, employees were suffering on their performance reviews because of that morning bias. If you have a specific set of criteria that you’re measuring, those biases are less likely to come out. It’s important that you educate others, at your work or friends that work at other places about how silly of a concept this is and how it needs to stop. People should be letting each other come and go as they please, as long as they get their work done. Together, we can finally put an end to this outdated concept. Be mindful of the extra, unnecessary stress you’re putting on your employees by making them come to work early or stay late. It’s unfair, and needs to stop. I’d be curious to hear your thoughts in the comments below!